Many companies have set themselves a goal of becoming more energy efficient – in part because legal specifications regarding energy efficiency are becoming compulsory for many. There are also many other arguments that speak for an Energy Management System. Standards such as ISO 50001 stipulate the framework on how companies should meet these requirements. The development of more energy efficiency also affects the pharmaceutical industry. Important is that concerned companies recognize the opportunity this development presents. With simple measures it is already possible to save up to 20% in energy costs. Automation is an important aspect of energy efficiency. 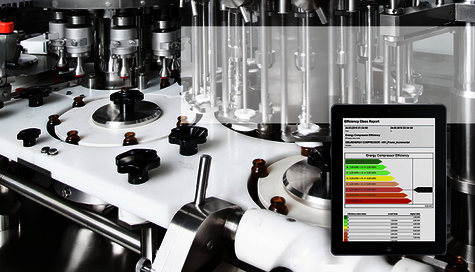 In automated production systems data can be simply and reliably collected. With the right reporting tools an analyses in real time takes place and it is possible to react quickly when it comes to energy consumption that is too high. Cost saving can thereby be expected in the long term. The article Roadmap to Energy Efficiency appeared in the PMPS (Pharmaceutical Manufacturing and Packing Sourcer) magazine, May 2015.